Abuja – Nollywood actress turned Evangelist and philanthropist has rejected prayer of one of her followers on Instagram who wished for reunification with her ex-husband, Mr Churchil Olakunle. The follower known by Instagram handle @tobi_nextlevel took to Dikeh’s @Tontolet Instagram account comment section to wish that Tonto will reunite with her ex-husband. “How I wish you and Daddy King can forget your difference and reunite again”. 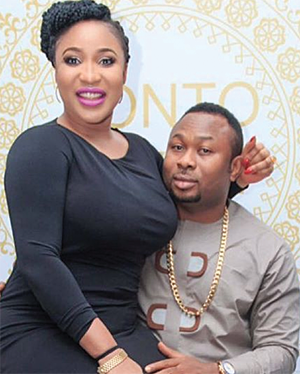 Who’s the man in Tonto Dikeh’s life? @tobi_nextlevel commented further, “I know my comment may sound negative vibe to you, but all African women need a man in their life. Is not our thing in black race to live a life of single parent”. Dikeh got married to Olakunle in August 2015 and got separated in early part of 2017. The 17 months old marriage was blessed with a son, King Andre.